This is the forth series I have read by Lili St.Crow (Lilith Saintcrow) and every time I read her books I am stunned by how well she builds the world that her characters live in and I get absorbed into her work. She is an astonishing author and Nameless is an incredible beginning for a new series! Camille is a quiet girl and has overcome a lot to be where she is today. She comes across as a nervous person and she has a stutter, so people always treat her as a fragile girl. Underneath that exterior is a smart girl who has a heart of gold. She cares deeply for her closest family and friends and would do anything to keep them out of danger. She often has nightmares which feel so real, but she cannot remember them when she wakes. She was comfortable with her life amongst the family and never questioned anything until Tor showed up. He is a little mysterious and looks like he cares for Cami, but a few things had me double guessing his intentions. After his arrival, Cami begun to do things that she wouldn’t normally do because the world that she lives in is very dangerous and she begins doubting where she belongs. Nico I loved!! He started off as the party boy, but along the way his priorities changed and so did his personality. He is very protective of Cami and has been like that since they were little and has never seen her as a mere Human, she has always been Family to him. I adored the way Nico was able to calm Cami when she gets so worked up – book, candle, Nico, – when he had Cami repeat these words after him, I fell for him a little more each time! However he is not always like that, he has a fierce temper when the people he loves are in danger. He is just awesomeness in one complete package. Nameless was a fantastic read and I loved being in the world that Lili created. She puts just enough details into the story so that you can imagine yourself there!! 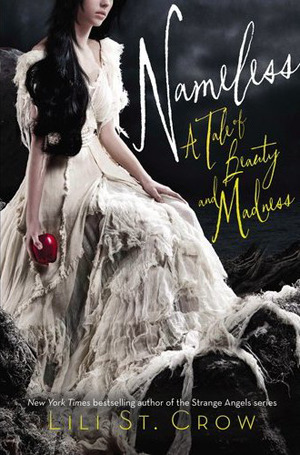 It may have been based off of Snow White but I thought it was a unique book and it was written beautifully! I look forward to future books in this series by this amazing author! Well done Lili!! Ooh nice review! Might end up reading this one! I like Lili's books, although I sometimes struggle to adjust to her new worlds. But definitely want to try this one out! She builds such big worlds!! I have read a lot of her stuff, never really disappoints!! Thanks Jessica!! I want a Nico!! OMG, he is awesome! !